Multi surface protection for kitchen and bathroom refurbishments. Can also be used on hard floor surfaces. Self adhesive. Can be left for up to 4 weeks, leaving no sticky residue. 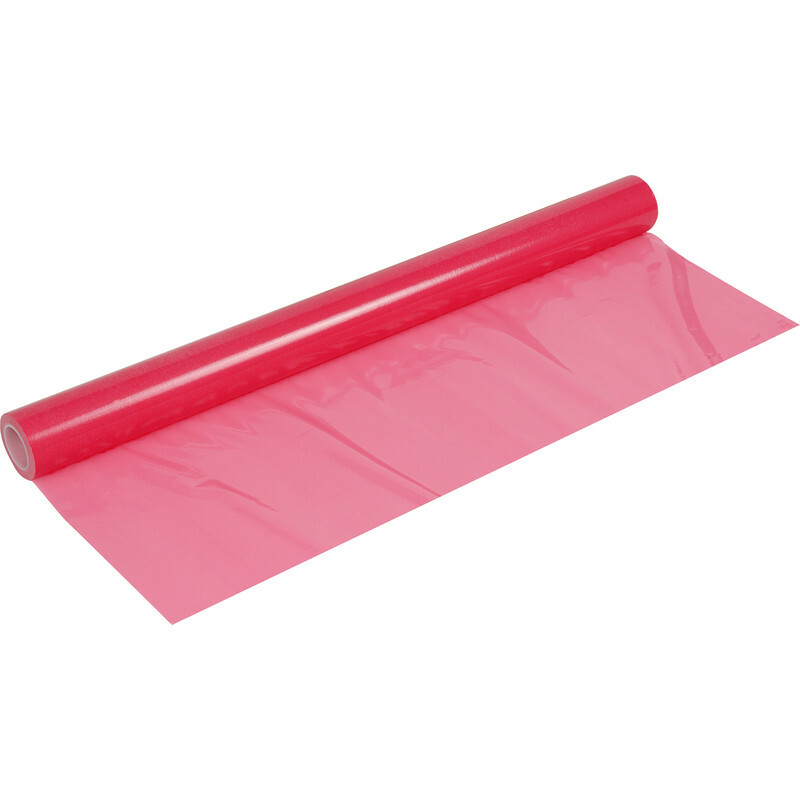 Pink Multi Surface Protection 600mm x 20m is rated 3.5 out of 5 by 24. Rated 5 out of 5 by Rob 99 from Sticks like cling film Very happy with this. Easy to use. Used it to protect vinyl floor. Wish I had used it in the past. Rated 4 out of 5 by SnoopyDog from Can't 'kick' the roll out It sticks to laminate but does not allow you to kick it forward, having to use your hands and knees instead. Its nice and wide compared to other brands at 500mm. Does not appear to leave any sticky residue. Rated 4 out of 5 by SmallSnoopy from Can't 'kick' the roll out It sticks to laminate but does not allow you to kick it forward, having to use your hands and knees instead. Its nice and wide compared to other brands at 500mm. Does not appear to leave any sticky residue. Rated 2 out of 5 by Jfixuk from Not for carpet Used this when I ran out of roll and stroll. Sticks to the roll and stroll but not to the carpet, so comes up if you try and vacuum. Rated 1 out of 5 by Electrickery from Expensive cling film Will only stick to flat, smooth and GLOSSY surfaces, does not stick to new, clean mdf for example! The blue stuff is only slightly better. Sticks to itself ten times better than it sticks to anything else so you also need help to apply it.